Rear Suspension Swingarm with single shock absorber. Wheelbase 1481 mm / 58.3 in. 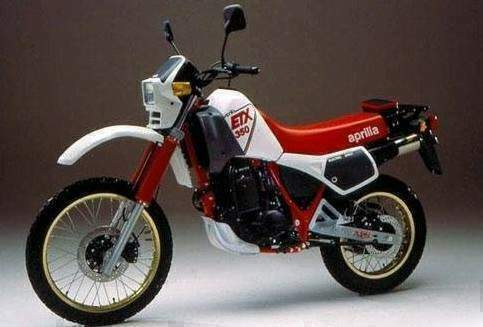 We rode an ETX350 on the roads and trails near Aprilia's Noale factory, mindful that for the bike to succeed here in America, it will have to take on Honda's XL350. 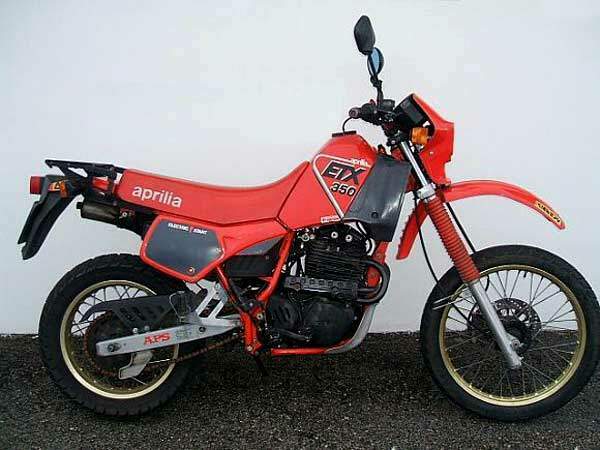 which Cycle World proclaimed the best dual-purpose bike of 1984. A head-to-head comparison will have to wait until the ETX actually hits American shores, but we still came away with some interesting observations. In terms of overall quality, the ETX350 is the best-made dual-purpose bike we've seen, easily a cut above the XL. The Honda counters with better engine performance; not only is it two-tenths of a second quicker in quarter-mile acceleration, but it feels peppier and is able to loft its front wheel in the first three gears. The Aprilia 350 has to work hard to get airbone even in second. Points go to the ETX when it comes to features, though. 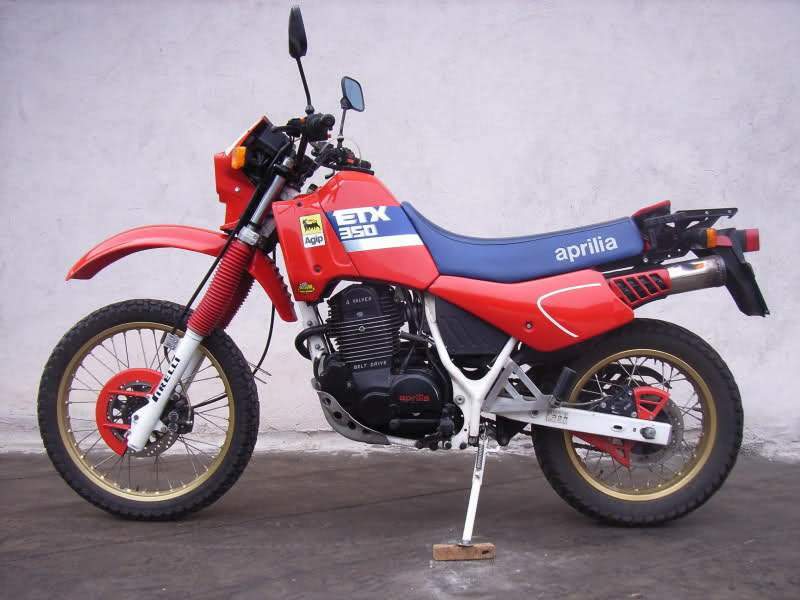 It comes standard with an oil cooler, a luggage rack, disc brakes front and rear, and electric starting. Its Marzocchi suspension provides a half-inch more wheel travel, and electric starting makes the bike easier to live with day-to-day-although it helps give the 269-pound Honda a 30-pound advantage in claimed dry weight. At least the added weight doesn't seem to affect the ETX's excellent street handling. The Honda also comes out on top in the list-price category, for while the ETX obviously does not yet have a U.S. price, it will likely cost $300 to $400 more than the XL. Whether the Aprilia's strong points will be enough to sway riders from the XL remains to be seen. Either way, the choice won't be easy. And with the ETX600. which promises performance that is equal to or better than that of its Japanese rivals, the decision will be harder still.